To provide the best service to all of our customers, we employ methods that will quickly provide solutions and answers to your questions. Maximizing efficiencies in Material Handling through insightful design solutions using highly-valued expertise, integrated products and installation services. Mathandians provide timely responses, resourceful project management and after-sales care inspiring lasting relationships and referrals. Matching business needs with the appropriate rack system is critical and entails asking the right questions, as well as planning for flexibility you need as your business grows and evolves. That flexibility requires doing business with a partner who can offer a variety of rack system designs, structural materials, accessories and customize it all to your requirements. Mathand has all of this, and more. 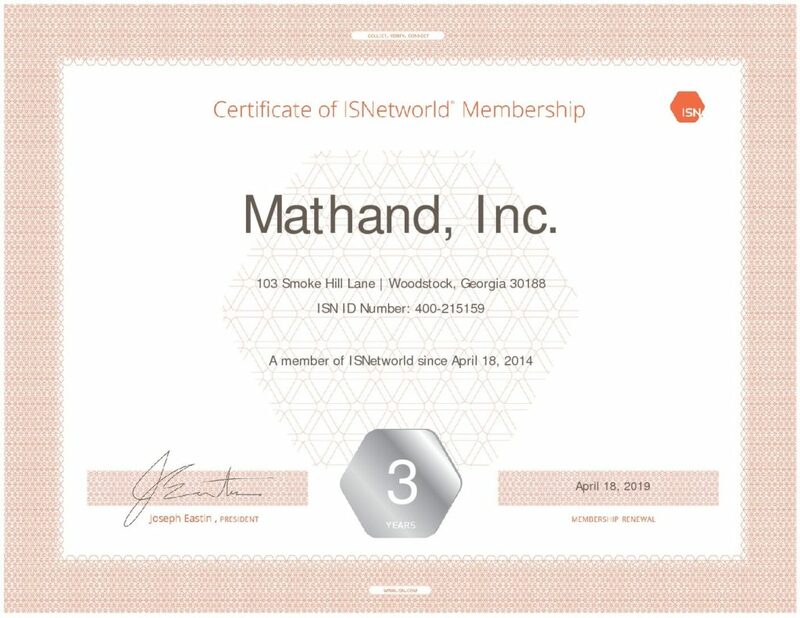 Recently celebrating our 38th anniversary, Mathand has a long standing reputation in the industry of material handling systems for selling the highest quality products and services possible in a timely fashion and at a competitive price. We offer a wealth of warehouse products specializing in Structural Rack, Push Back, Selective, Roll Back, Drive-In, Carton Flow, Cantilever, Semi-Automated and Automated Rack Systems. The implementation of these products can save labor costs and maximize storage space, by helping your company efficiently utilize its existing warehouse space. We carry a project from start to finish by designing custom racking suited to your specific needs, the manufacturing of these products, scheduling and managing the freight, installing the product to your specifications, and handling all the details so you don't have to. Our experienced designers and support team are equipped to handle any project large or small and provide innovative solutions to your material handling needs. Our top customers come from the food, beverage, and oil industries. We work with small local companies and Fortune 500 companies alike. Our company has successfully managed thousands of projects for companies such as Coca-Cola, Cargill, Valvoline, Pepsi Cola, Nabisco, Ricoh, Ikon, Edy’s Ice Cream, BP Lubricants, Ford Corporation, General Mills, Yoplait, Tropicana, General Motors, Golden States Foods, Kia Motors, Goldkist, Ecolab, Amalie Oil and Government projects such as the Department of Army - Hunter Air Force Base and Fort Stewart. 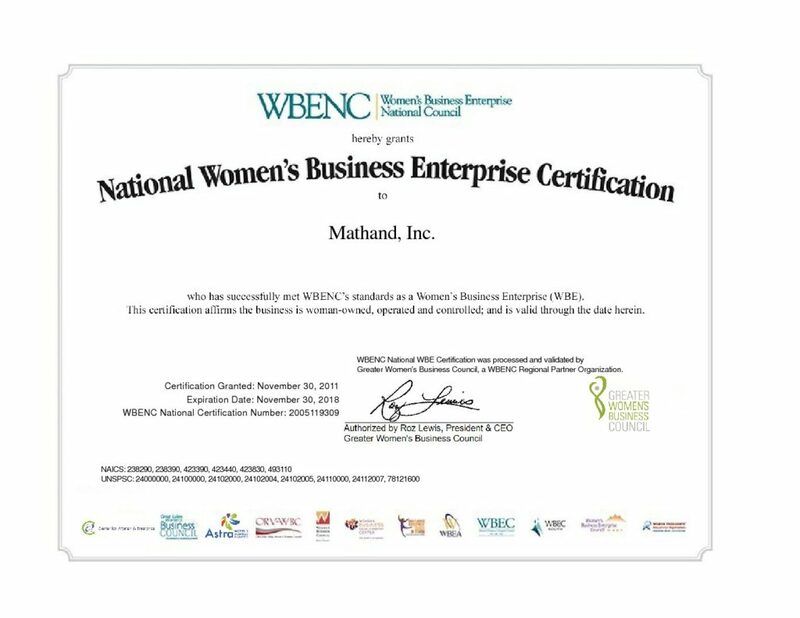 As a WBENC certified woman owned enterprise, we value diversity and work with a broad range of suppliers and customers.